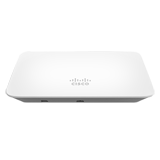 The Cisco Meraki MR20 is a dual-radio, cloud-managed 2×2:2 802.11ac Wave 2 access point with MU-MIMO support. Designed for basic, very low-density deployments, the MR20 provides enterprisegrade security and simple management. The MR20 delivers a maximum 1.3 Gbps* aggregate frame rate with concurrent 2.4 GHz and 5 GHz radios. The combination of intuitive cloud management, 802.11ac Wave 2 wireless, and enterprise-grade security provide safe, reliable WiFi for small business and home office networks that want basic connectivity. The MR20 is managed through the Meraki cloud, with an intuitive browser-based interface that enables rapid deployment without training or certifications. Because the access point is monitored 24×7 by the Meraki cloud, the MR20 can deliver real-time alerts if the network encounters problems, and diagnostic tools enable real-time troubleshooting over the web. The MR20’s firmware is always kept up to date from the cloud. New features, bug fixes, and enhancements are delivered seamlessly over the web, meaning no manual software updates to download or missing security patches to worry about. 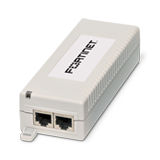 A 5 GHz 2×2:2 radio supporting 80 MHz channel widths and a 2.4 GHz 2×2:2 radio supporting 40 MHz channel widths offer a combined dual-radio aggregate frame rate of 1.3 Gbps*, with up to 866 Mbps in the 5 GHz band thanks to 802.11ac Wave 2 and 400 Mbps in the 2.4 GHz band. With support for the 802.11ac Wave 2 standard, the MR20 offers MU-MIMO for more efficient transmission to multiple clients. This increases the total network performance and the improves the end user experience. The MR20 features integrated, easy-to-use security technologies to provide secure connectivity for employees and guests alike. Advanced security features such as AES hardware-based encryption and WPA2-Enterprise authentication with 802.1X provide wire-like security while still being easy to configure. One-click guest isolation provides secure, Internet-only access for visitors. Our policy firewall (Identity Policy Manager) enables group or device-based, granular access policy control. The MR20 comes equipped with Air Marshal, a built-in wireless intrusion prevention system (WIPS) for threat detection and attack remediation. MR20 access points will scan their environment opportunistically based on user-defined preferences. Alarms and auto-containment of malicious rogue APs are configured via flexible remediation policies, ensuring optimal security and performance in even the most challenging wireless environments. The MR20 includes an integrated Layer 7 packet inspection, classification, and control engine, enabling you to set QoS policies based on traffic type. Prioritize your mission critical applications, while setting limits on recreational traffic, e.g., peer-to-peer and video streaming. 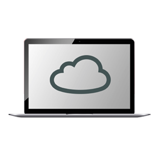 When plugged in, the MR20 automatically connects to the Meraki cloud, downloads its configuration, and joins the appropriate network. It self-optimizes, determining the ideal channel, transmit power, and client connection parameters. And it self-heals in the event of a switch or cable failure by meshing with nearby Meraki access points, providing continued gateway. Drill down into the details of your network usage with highly granular traffic analytics. Extend your visibility into the physical world with built-in location analytics that enables you to view visitor numbers, dwell time, repeat visit rates, and track foot traffic trends.